The end to the seasonal series will be the best one yet. Date, Tracklist, and Cover revealed. Yaves cautiously spouts on the heavy drum coated track of “Rumble Young Man”. It’s 12:35 a.m. and we are witnessing the seventh hour of a session that has birthed four works of art. Late nights like this at his Columbus based studio compound are common for the Ohio bred emcee; however the energy of this project is far from the norm. 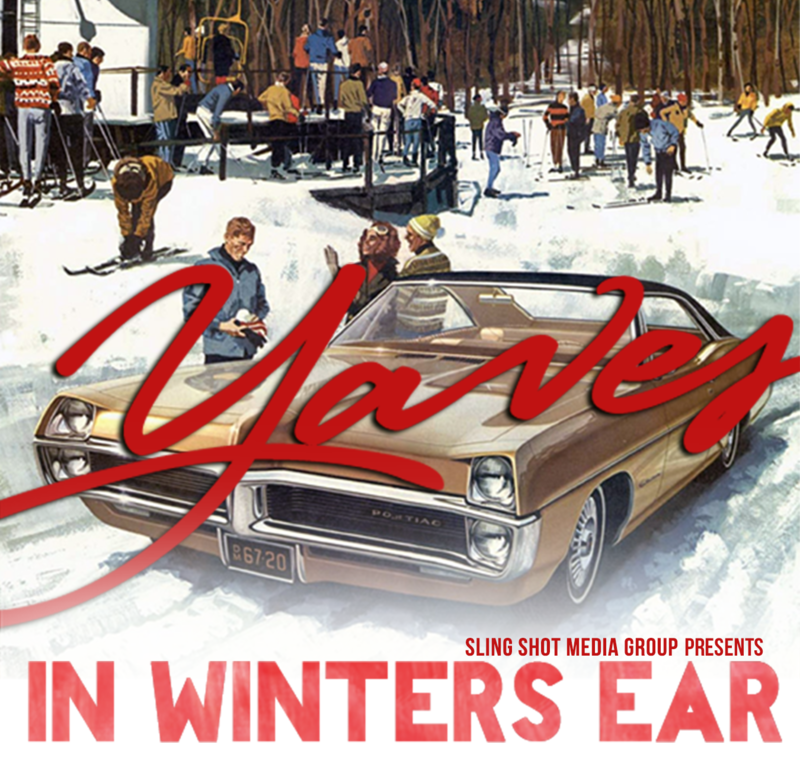 The energy is consistent and the momentum can be seen in vivid form on the 'In Winters Ear' extended trailer that was released via Youtube. 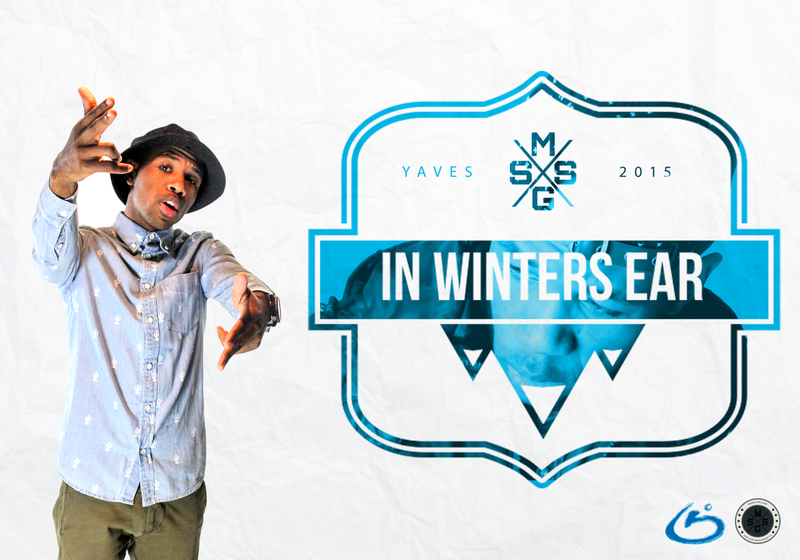 Yaves has enlisted a solid team to help craft the look and feel of “In Winters Ear”. From the production down to the direction of the artwork, this project has been the perfect storm where strategy collides with organic creation. To help with the sonic outcome of the EP Yaves linked up with Texas based Grammy nominated (Eminem: The Marshall Mathers LP 2) engineer Maurice “Malex” Alexander. The two began to build a relationship after meeting in October of 2014. The two have created a consistent workflow ever since, which is sure to increase the output of new music from Yaves in the coming year. Additional Production has been provided by Atlanta based producer QWOND3R (Gucci Mane, 2 Chainz), Z4L, and long time friend and collaborator Ron Riley. With a few features that include New Orleans based artist Dee-1, Sivion, and from Stalley's BCG camp King Vada, Yaves creates a piece of work that is set apart from his perevious projects. 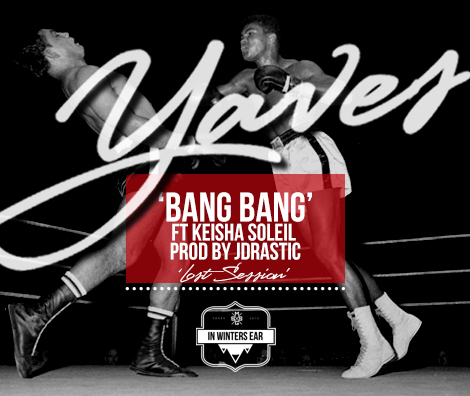 Check out www.YavesMusic.com for more information. Copyright © 2014 Fresh Laundry Marketing, All rights reserved. Thank you all for visiting our page. We're featuring singles from a lot of albums that came out in 2014 this week. We also have a dope mix by DJ Tituz as the Guest DJ Booth feature this week. Hit play on the Mixcloud box to listen to the new show. If you would like to download the show, please e-mail us at KingdomMindedRadio@Gmail.com and we'll be glad to accommodate your request. Episode 157: Merry Christmas from @WwW1429 & Mr. Rob! Merry Christmas everyone! 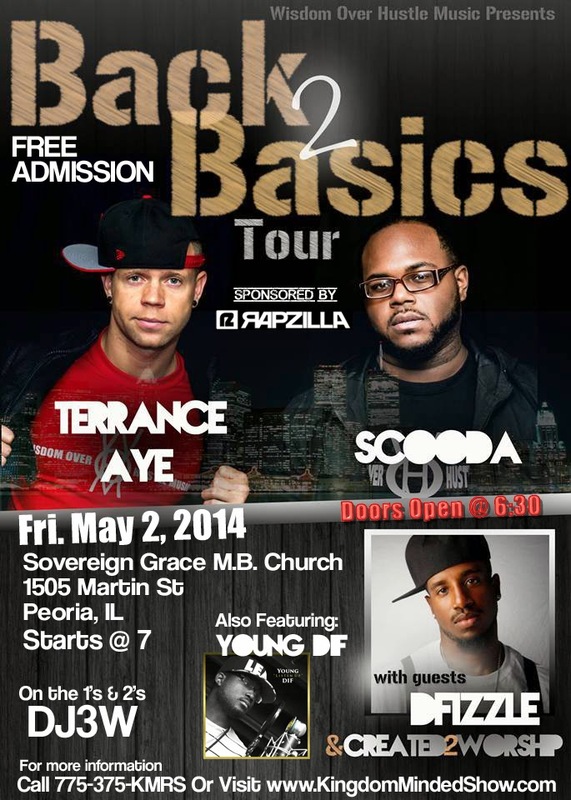 Join us as we celebrate the birth of Christ with Christ centered hip hop and R&B. Please share with your friends and family during this holiday season. Click the play button in the Mixcloud box to hear the show. Until next week...grace and peace. And Merry Christmas!!!! Thanks for visiting our website. We hope you are blessed by the show. You can listen to the latest show featuring an interview with Witness (@YoSoyWitness), a mix by DJ Tony Tone (@DJT2BKS), and new music by Trip Lee. Feel free to call and leave a shout out at 775-375-KMRS. You can also follow us on Twitter and Instagram @KingdomMindedRS. Interact with DJ3W directly on Twitter @WwW1429. Press play on the Mixcloud widget to hear the show. This week's show features new music by Jor'Dan Armstrong, a mix by DJ Jesus Beats, a freestyle by Bink, and an interview with Dove and Grammy Award winning artist, Lecrae. You can listen to the show by pressing play in the Mixcloud box. We hope something was stirred up in you to be more Kingdom Minded. 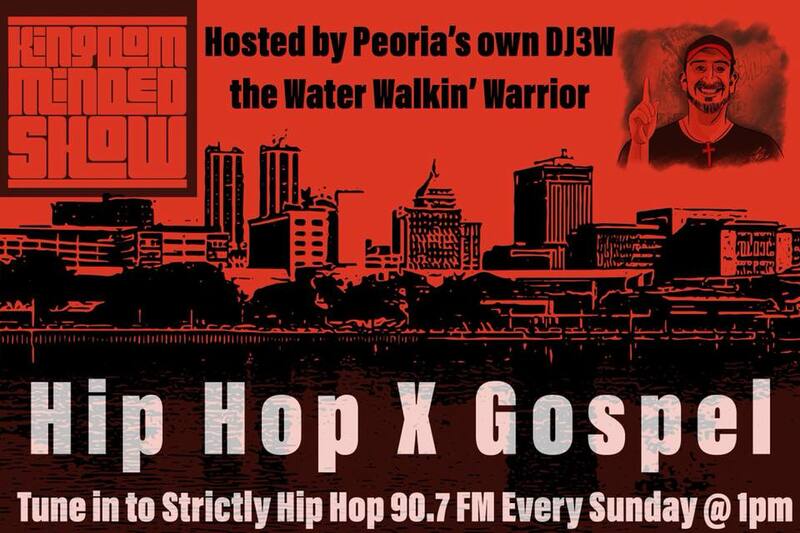 Thanks for joining us on this music driven journey through Christian hip hop and R&B. We hope it encourages, inspires, and challenges you to be more Kingdom Minded. You can listen to the show anytime by clicking the play button in the Mixcloud box. Thank you for listening to the show. This week, we are featuring DJ Sean Blu in the guest DJ booth and new Canton Jones. You can listen to the show here by clicking the play button on the Mixcloud box. God bless! Thanks for visiting our page. 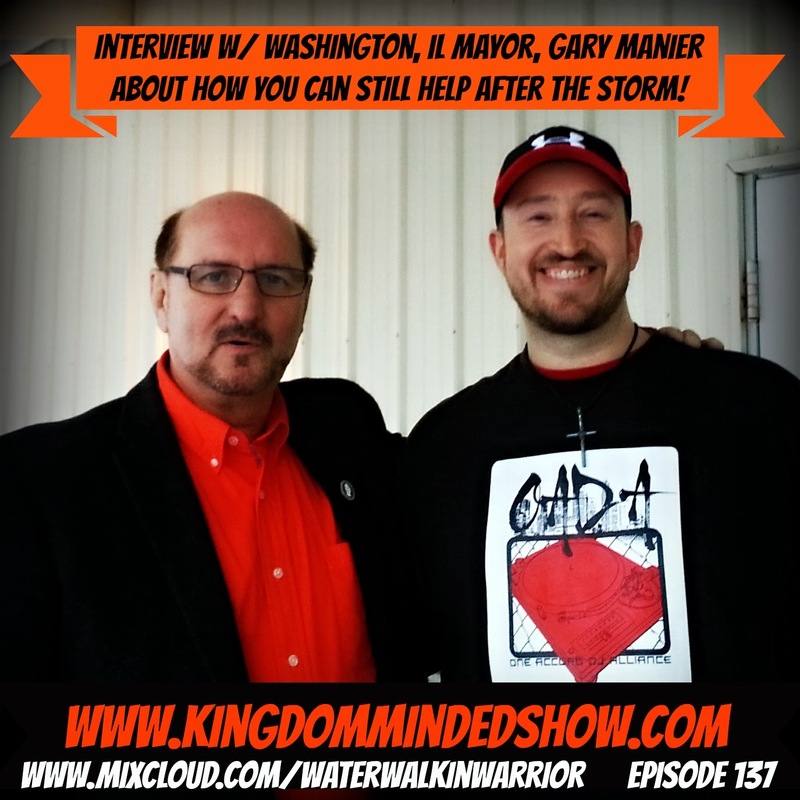 This week we feature an interview with Mayor Gary Manier of Washington, IL. He talks about what he felt and what we can do to help after a tornado ripped though their town last November. There's new music by Canton Jones, Reconcile, Yaves Ellis, J-Will, and Deraj. DJ Mayday drops a dope new mix called "reFresh" in the guest DJ booth. If you'd like for us to come out and DJ your function, e-mail us at KingdomMindedRadio@Gmail.com. God bless!!! You can also listen live here on the media player at this page. Revolution - Lil Prophet ft K.A.S. Impress - Willie Moore, Jr.
All Christ Everything - A.C.E. Step Up - Papa San ft Da T.R.U.T.H. Thanks for tuning in to the show. 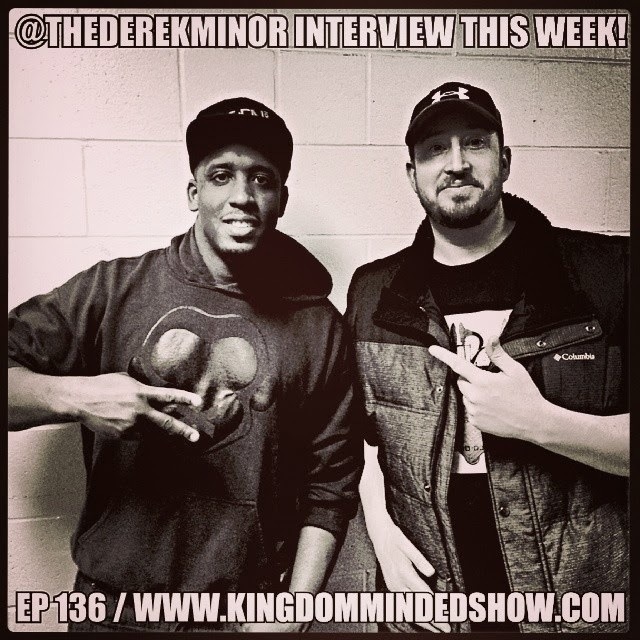 We hope you enjoy the interview with Derek Minor this week. DJ Sam Smite does an excellent job in the Guest DJ Booth, and there is a whole lot of new music for you to check out.